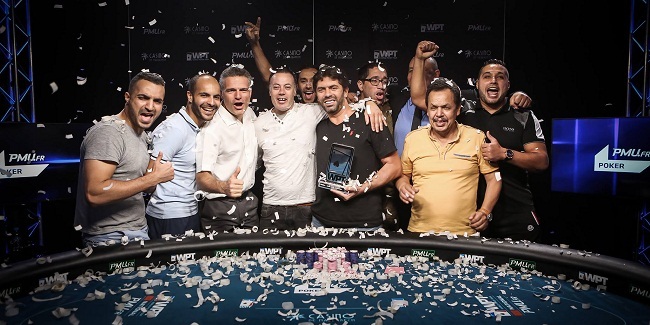 Rachid Rami, Morocco based profession poker player has won the latest edition of world poker tour National Marrakech Season XV and collected the first prize of amount MAD 950,000 ($97,600). He defeated Mohammed Lahlou, another Moroccan player in the heads up, who pocketed an amount of MAD 650,000 ($66,800). Meanwhile third position of the championship main event belongs to a pro named Arthur Conan, who collected MAD 450,000 ($46,200). 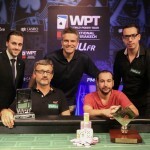 The PMU.fr WPT National Marrakech attracted 396 players on two days of the main event. 14 players remained in the race to win the title on final day of the game with Frenchman Alexandre Riccomi being the chip leader. Riccomi also played the final table, but somehow got busted to sixth place for $25,500. The final table of the national Marrakech included six remaining players and they were Rachid Rami, Alexandre Andre Henri De Zutter. Alexandre Riccomi, Arthur Conan, Dimitri Sukhorukov and Mohammed Lahlou. 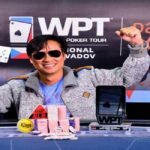 First man who got busted from the race of the championship title was a player named Alexandre Andre Henri De Zutter, who finished his journey at sixth position and pocketed a winning share of amount MAD 198,000 ($20,300). Alexandre Riccomi from France was the next man who hit the rail playing against top poker professionals and collected MAD 248,000 ($25,500). 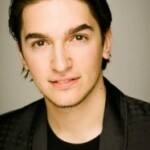 He lost to Mohammed Lahlou’s turned diamond flush. He had set of jacks. Dimitri Sukhorukov made $33,200 from the tournament and secured fourth place in this tournament. 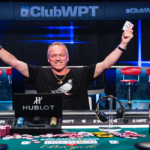 Arthur Conan made MAD 450,000 or $46,200 from this prestigious world poker tour national Marrakech. He was out from the game after falling at the hands of Rami. He couldn’t convert it and was satisfied with third position. Meaning the heads up was among two Moroccan players such as Rachid Rami and Mohammed Lahlou. Rami stayed calm and cool all the time and never missed his goal for a second, until he becomes the title owner and taking down the first prize which was MAD 950,000 or $97,600.